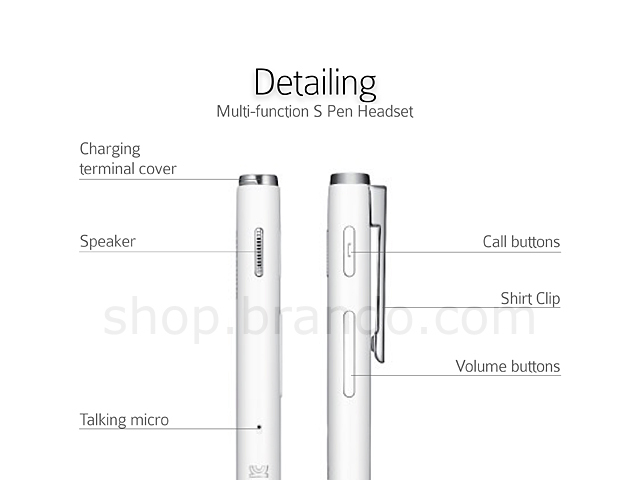 Samsung BT S Pen Headset is basically a S Pen with Bluetooth that allows you to make a phone call with a pen. 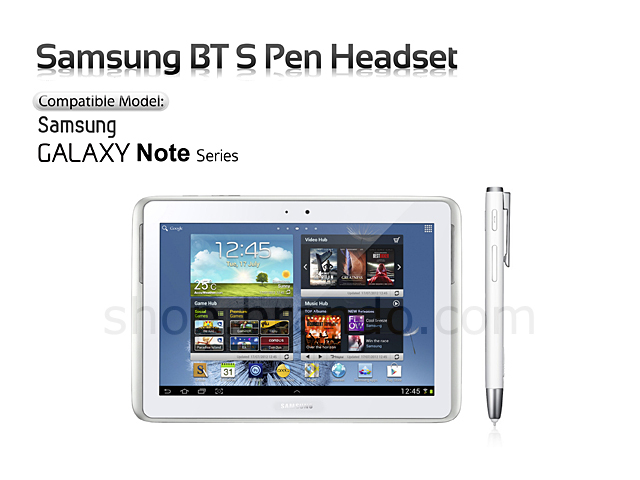 BT S Pen is not only a stylus, but it is also capable of answering phone calls. It works as a bluetooth headset with LED and vibration alert for incoming calls. You can call recent numbers by pushing Phone button, other controls like volume, mute, etc can also be controlled by the S Pen. 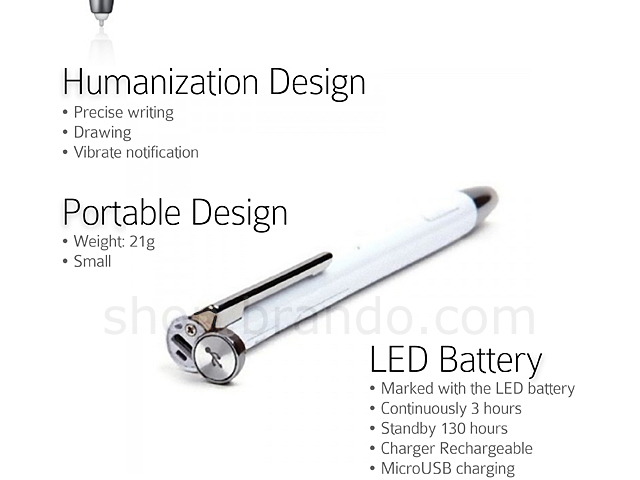 BT S Pen grip is well designed for easy handwriting. Perfect for drawing, note taking, and painting. 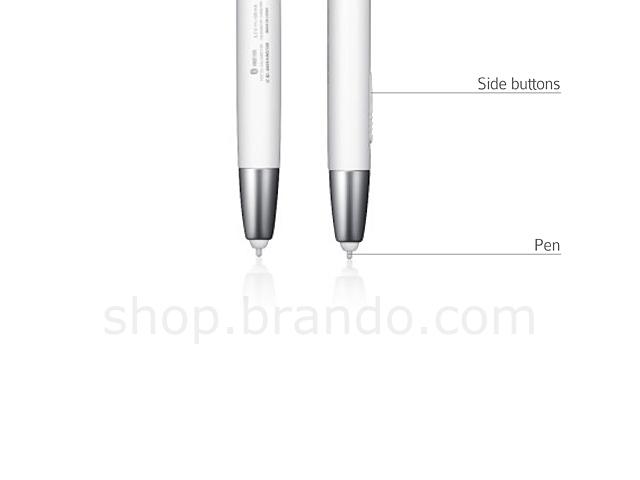 BT S Pen also supports Multi-Pairing, you can connect one BT S pen with more than one device. 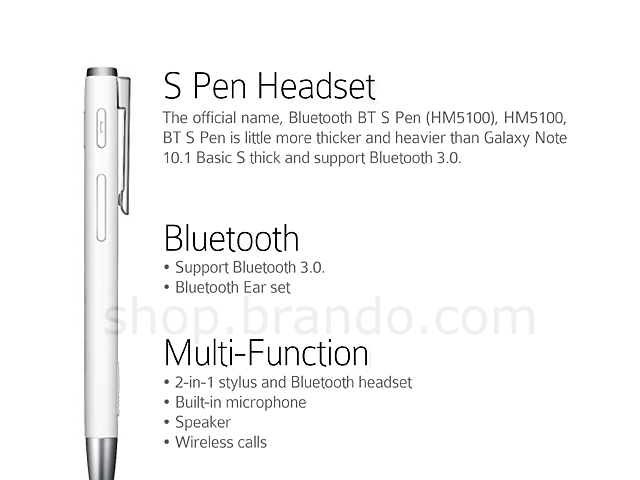 The official name, Bluetooth BT S Pen (HM5100), HM5100, BT S Pen is little more thicker and heavier than Galaxy Note 10.1 Basic S thick and support Bluetooth 3.0. 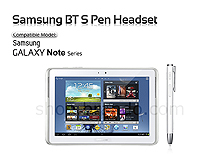 Compatible with Galaxy Note series.